We are honored that three generations of the Fishman-Belkin family are a part of the Sisterhood of Salaam Shalom®! Grandmother Janet Belkin is a member of the Tucson, Arizona chapter. Kira Belkin and her daughters Talia and Ruth live in central New Jersey. Kira is a member and co-leader of a Sisterhood of Salaam Shalom® chapter and Talia and Ruth are members of one of the pilot teen chapters where Talia is the co-leader . 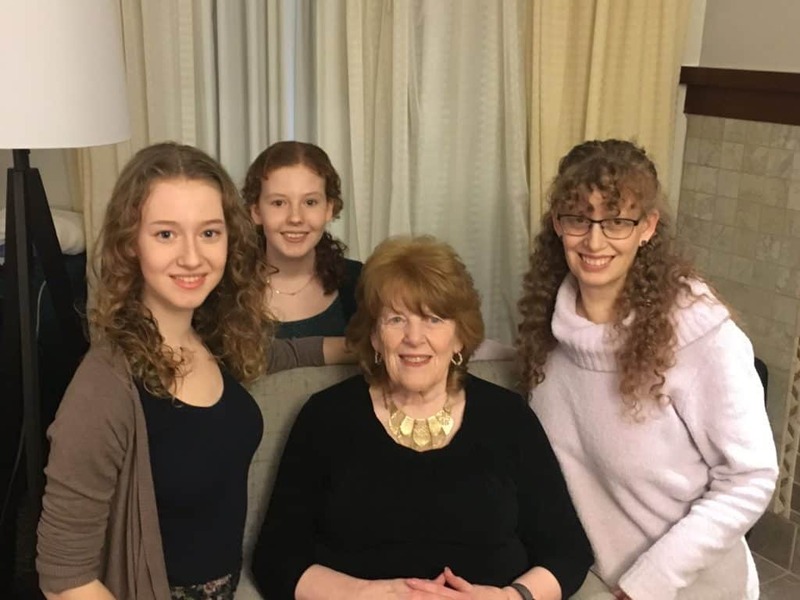 Pictured above L-R are Talia Fishman, Ruth Fishman, Janet Belkin, and Kira Belkin. We’re so grateful for their intergenerational commitment to building a peaceful world!